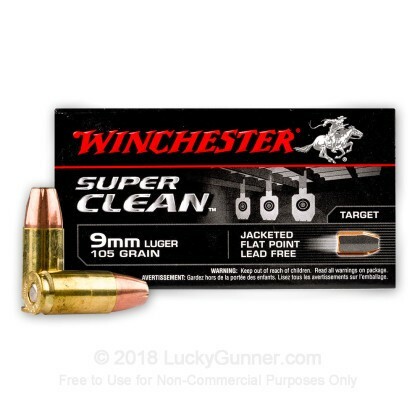 This "Super Clean" ammunition from Winchester uses lead free components well suited to target training. 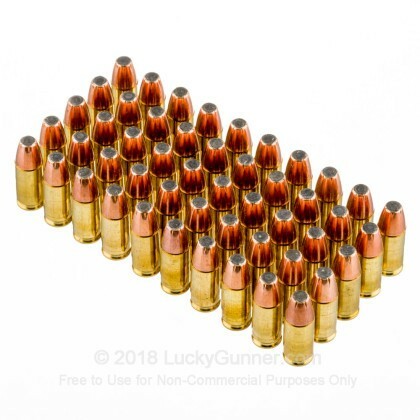 Each 9mm Luger cartridge in this box of 50 fires a 105 grain tin-core soft point bullet at a muzzle velocity of 1,200 feet per second. 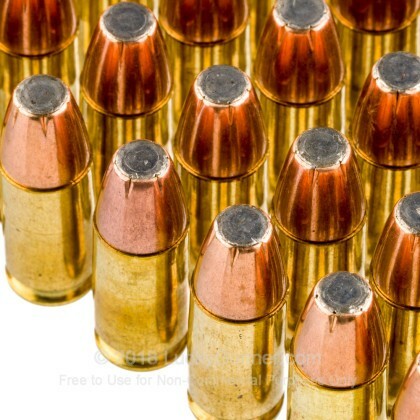 These rounds produce a similar point of impact to carry loads but have significantly less recoil, making them a good choice for reducing fatigue during periods of high-volume shooting. 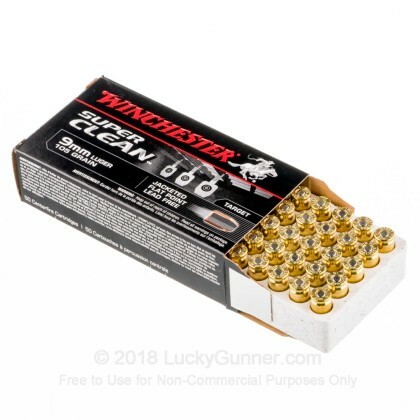 Lead-free ammunition is a particularly good choice for shooting indoors, where ventilation is usually less than ideal and the risk of airborne lead exposure is higher. 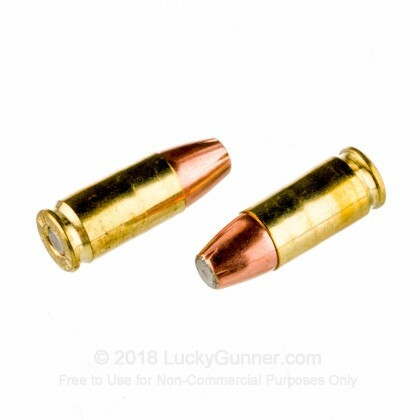 These cartridges are loaded in Oxford, Mississippi using non-corrosive, heavy metal free primers, cleaner-burning propellants, and reloadable brass cases. 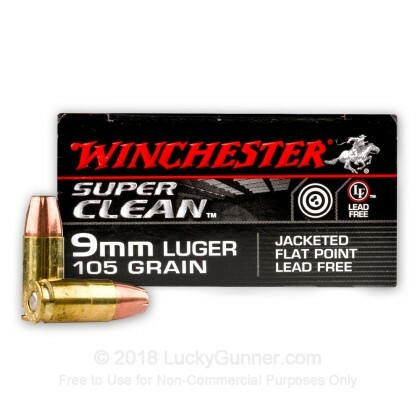 Winchester was founded in the 19th century and has a long history of supplying gun owners, law enforcement, and the military with quality ammo.